Let’s not even get started with my Pokémon Center problem. I wish I could say that the above statements are exaggerations, but I have found myself in every one of these situations within the past month. From local specialties such as Kyoto sweets to seasonal goods like Starbucks cherry blossom lattes (only while supplies last and yes I need a sakura mug or five because they will probably be gone in an hour), Japan has mastered the marketing of exclusivity. Collectible figures, flavors that vary by region and season, and exclusive film merchandise comprise of just some of the countless opportunities to nab something that only a handful of people in Japan (and even fewer outside of Japan) will ever get to experience. Needless to say, this creates a haven for nerds and Japanophiles alike, but also one that quickly develops into a sinking pit into which one’s sanity and wallet will never return. I have sold my soul to Japan’s marketing schemes, and while I might not be able to give you advice on how to avoid the trap wonder and joy that is shopping in Japan, perhaps I will be able to justify my addiction. This is what heaven tastes like. You know, just if you were wondering. When I say “exclusivity,” I’m not talking about Christmas at Starbucks and Cadbury Eggs. I’m talking about an industry in which everything is constantly changing, and once something is gone, it’s gone for good. 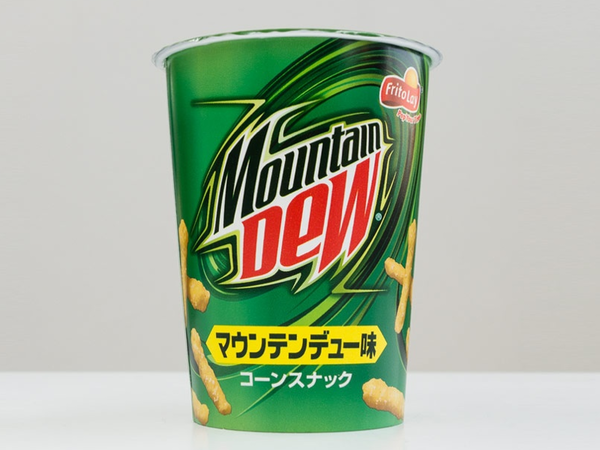 Even things that look (or actually are) disgusting (see: Mountain Dew Cheetos), are somehow made exponentially more appealing by the fact that they can only be purchased in Japan, and for a limited time at that. 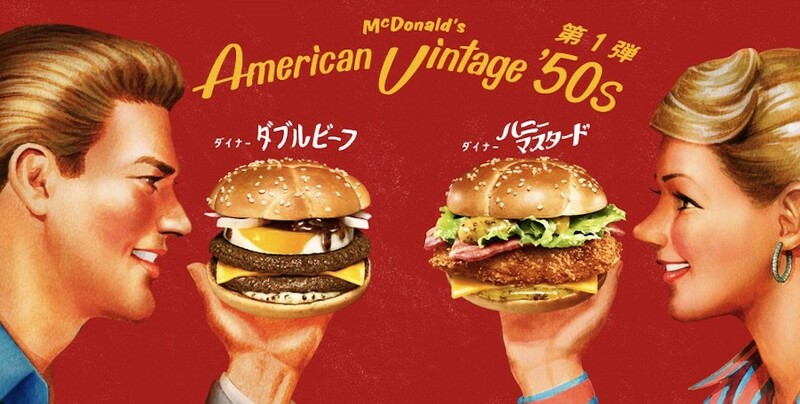 Ironically, McDonald’s in Japan has recently released a slew of limited edition “American Vintage” menus that span from the ‘50s to the ‘80s (Hot & Groovy Chicken, anyone?). Japanese people seem surprised when they discover that I haven’t tried it, and that they have nothing of the sort in the US. Believe it or not, McDonald’s is pretty classy in Japan. As seen in the case of McDonald’s, what’s interesting about this marketing trend is that most of the exclusive items seem to be sold by Japanese branches of Western companies. 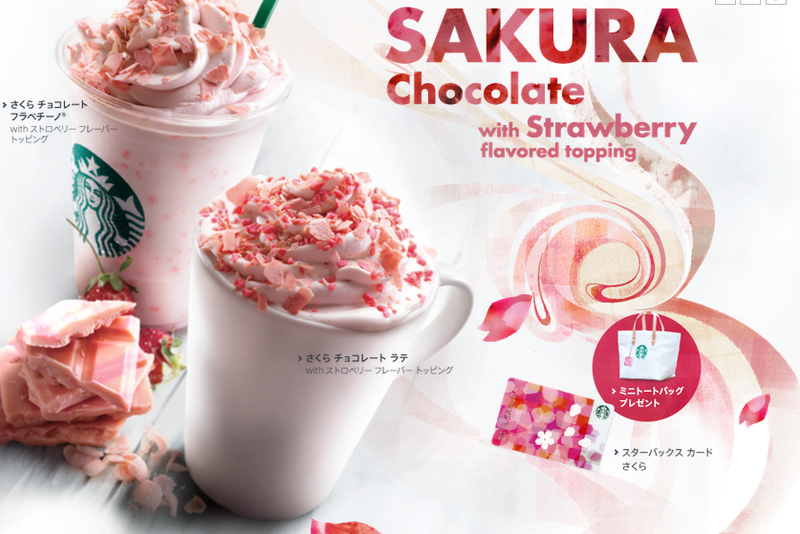 For example, Japanese Starbucks locations have flavors that don’t exist in the US (such as the aforementioned cherry blossom drinks and year-round matcha lattes). Baskin Robbins regularly rotates its flavors, its most recent being peach and melon Easter ice creams, even though Japan doesn’t celebrate Easter even commercially, and most people here have no idea what it is. 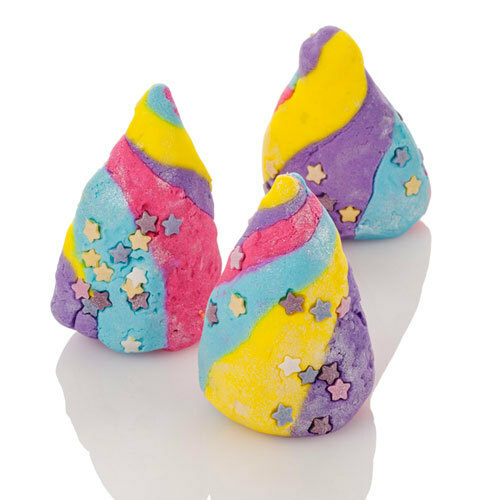 The cosmetics store Lush recently released limited, Japan-only bath bombs, and of course I had to go and buy like, five. Because how many times in your life are you going to be able to take a rainbow unicorn glitter bath? Fewer times than me, I’ll tell you that much. You will be blinded by my fabulousness. This profit-maximizing practice is made even more effective because of the fact that Japan is highly regionalized. Many goods are limited to their respective regions, and the practice of bringing home omiyage (souvenirs that usually take the form of local sweets) from a vacation makes one appreciate hard-to-find goods that much more. Tokyo Bananas from Tokyo, Shiroi Koibito from Hokkaido, and Momiji Manju from Hiroshima are but a few of the sweets highly desired by most everyone in Japan, but that cannot be found, for the most part, outside of their respective regions. 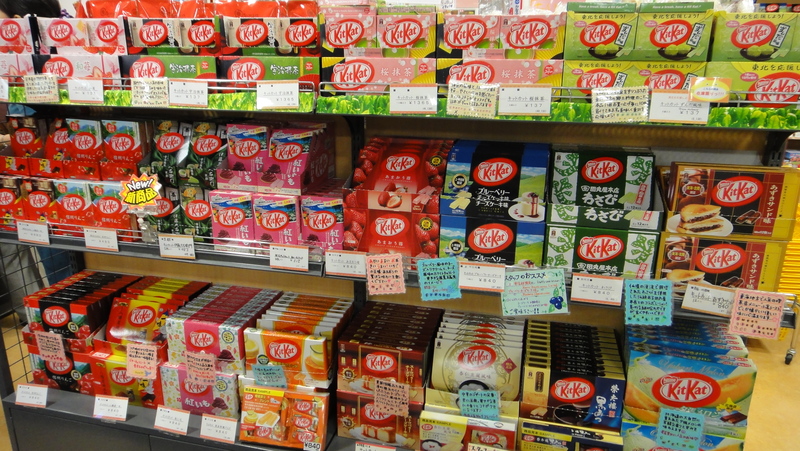 Kit Kats in Japan are a great example of this, as some cities even have their own Kit Kat flavors that cannot be purchased anywhere else. I know several people who have been all but consumed by the endless hunt for these precious gems. Yes, there is even a Kit Kat store in Toyko. Careful not to drool on your screen. One would assume that these marketing ploys were directed at foreign tourists if it weren’t for the fact that so many Japanese people buy these things as well. If my own reaction is anything to go by, it makes me wonder how a system like this would be received in America, as well as why US companies haven’t tried to take full advantage of such a tactic. I mean, you’ve seen America’s reactions to limited edition Ben & Jerry’s flavors. Imagine if that concept spanned the US market. As if we needed to be any more of a consumerist culture. Why isn’t Baskin Robbins this cool in the US? There is so much potential, here! Whether this trend will catch on anywhere outside of Japan is yet to be seen. But as things stand, I’m still living in Japan, and with sakura season upon us, I’m fear there is little hope for me or my addiction. There are ice cream flavors to try! Teas to buy! Limited edition lotions and cherry blossom decorations and I don’t even like pink why is this happening. I see no light at the end of this tunnel, and I think it’s going to take a lot more than admitting I have a problem to remedy me of my insatiable lust for the limited edition culture of Japan. My advice to you? Run away and don’t look back. Your bank account will thank you in the end. …But yeah, I’ll still be cooler than you. 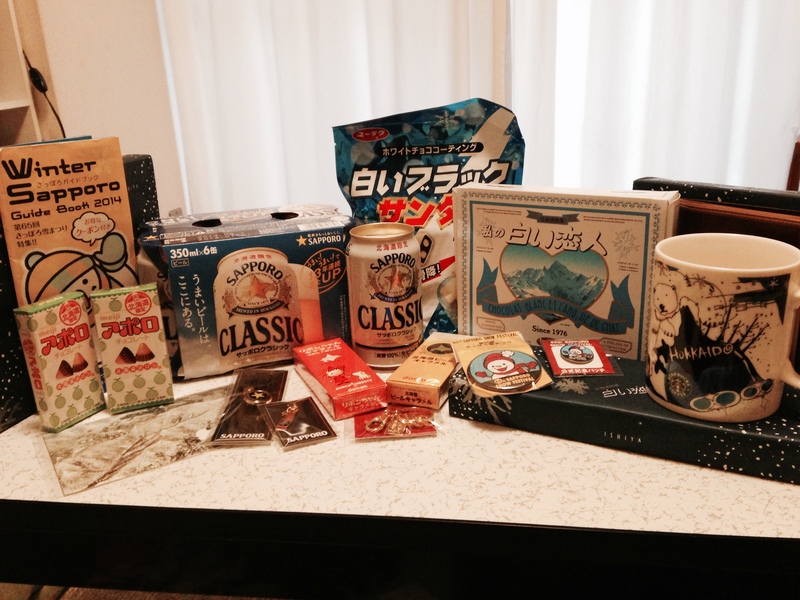 A few of the many things that can be purchased only on Hokkaido, Japan’s northernmost island. Yes, they even have exclusive beer. 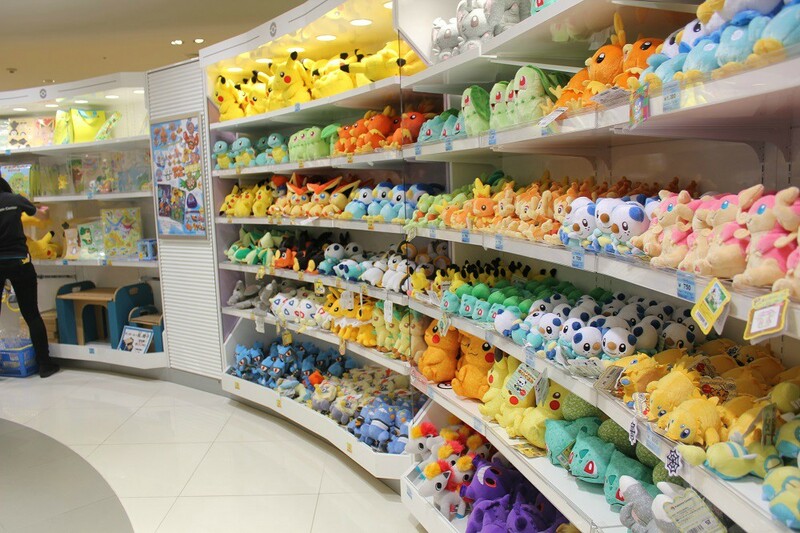 OMG I just want to be in a Pokemon Center right now. I would live in the Kit Kat store. It doesn’t even matter if they’re probably all nasty. I would LIVE THERE.